We are nearing the end of an era for fans of the Southeastern Conference. 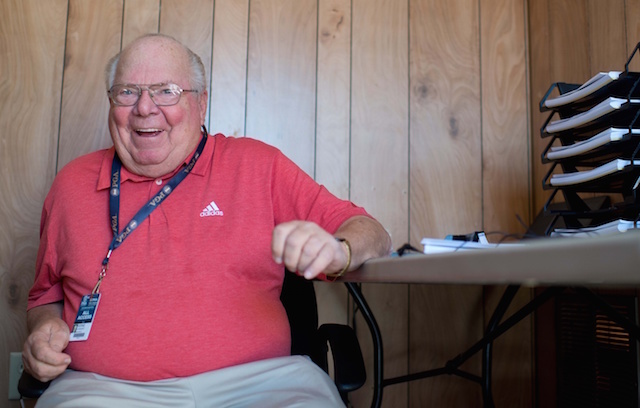 That's because the great Verne Lundquist will be stepping down from CBS's SEC football broadcasts at the end of this upcoming season, the network announced today. And with that, what has long been rumored was made official that Brad Nessler will be brought in to be his replacement come 2017. Here we have it: the NBA Finals. The ultimate fight for the Larry O'Brien Championship Trophy commences on Thursday night in Oakland. Here is the complete television and announcing schedule for the 2016 NBA Finals.